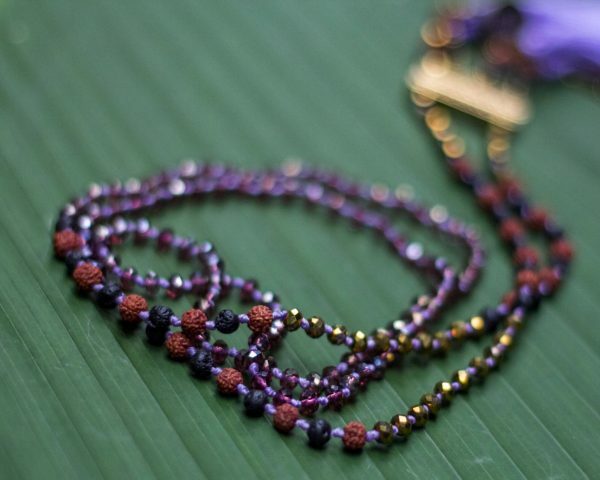 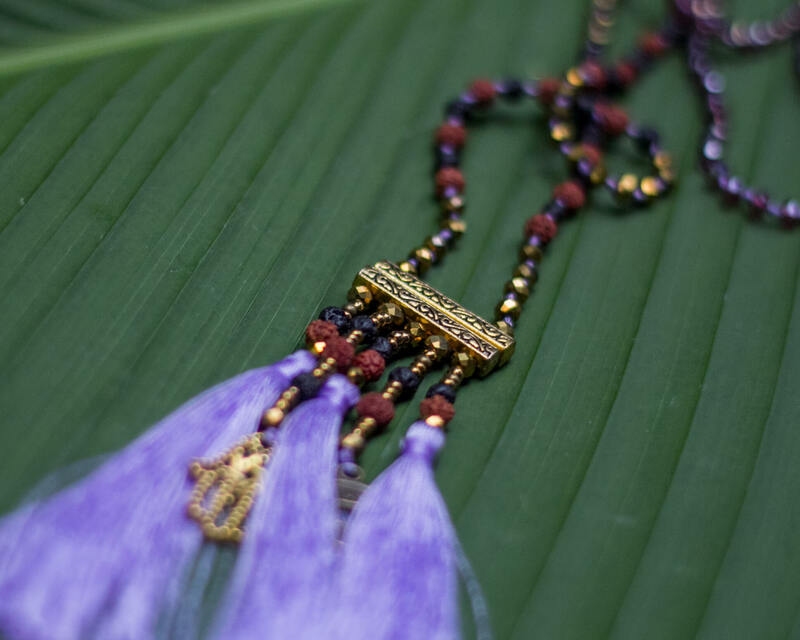 Featuring authentic Lava stones and Rudraksha beads. 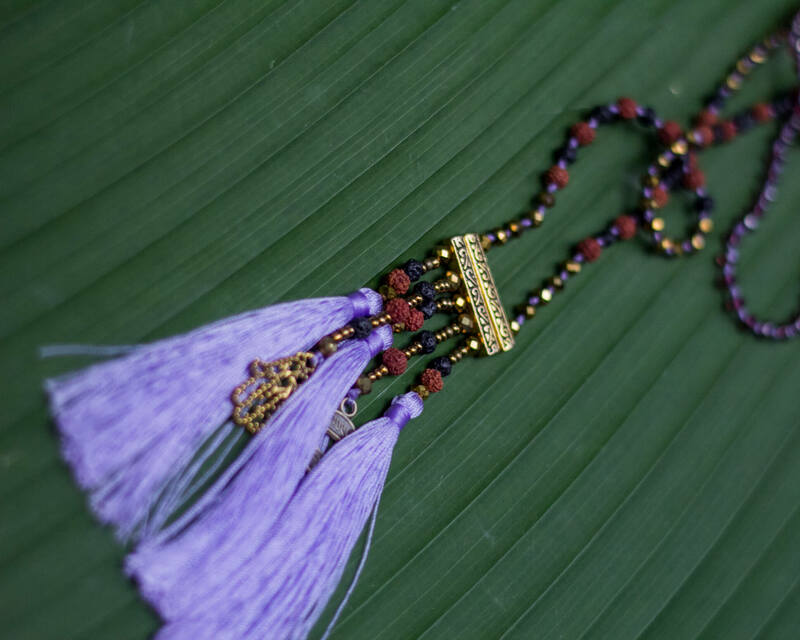 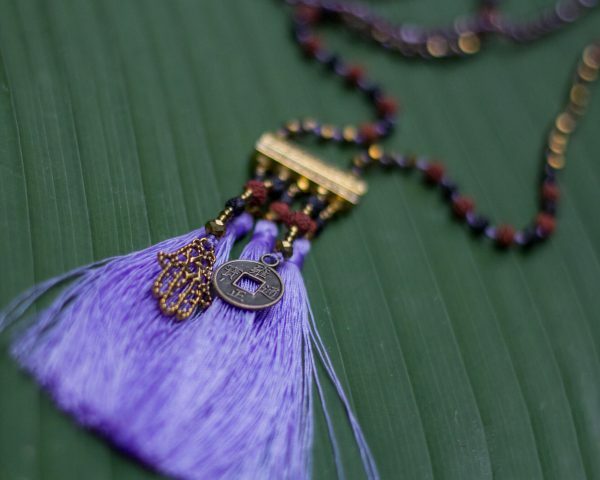 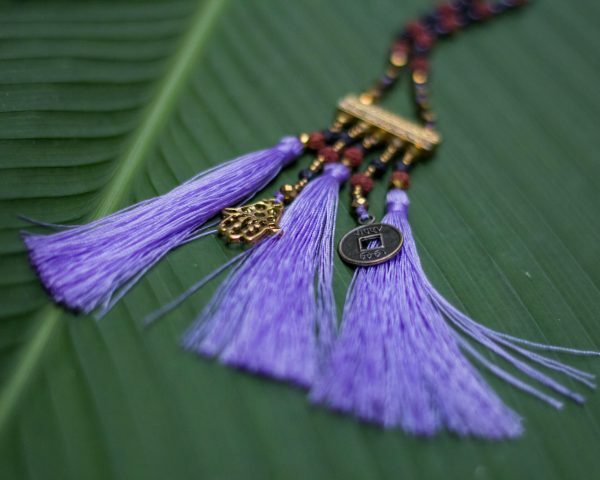 Hamsa and vintage chinese coin charms to spice up the tassel. 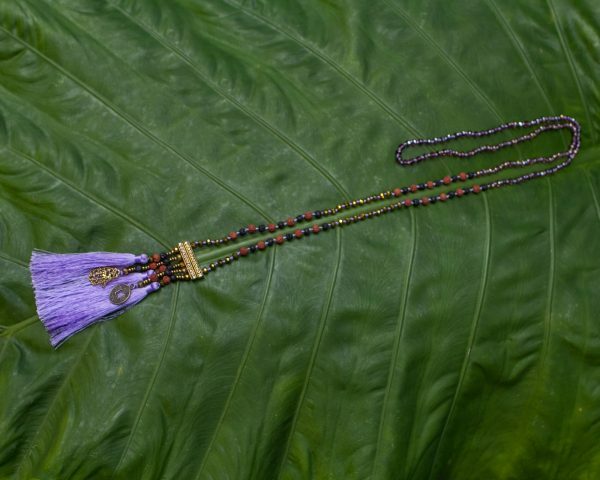 Only 1 available, so unique!